According to one survey, New Mexico youth is slowly stepping away from drugs, alcohol and tobacco. 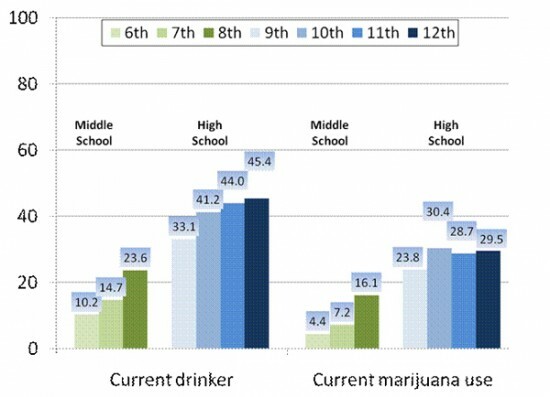 A survey released last week by the New Mexico Department of Health and the Public Education Department showed drops in alcohol and tobacco usage among high school students in the state. The number of students using methamphetamines or cocaine has also decreased since 2003. The survey, called the New Mexico Youth Risk and Resiliency Survey, is conducted every other year. It collects data from 89 school districts in New Mexico and over 40,000 students. High school student use of tobacco has continually decreased since 2003. In 2003, over one third of students reported themselves as smokers. By 2009, the number was down to 24 percent. … For the rest of the story, subscribe in print and on the web.